Birth registration is a right. Article 7 of the Convention on the Rights of the Child specifies, “Every child has the right to be registered at birth without any discrimination.” Therefore, birth registration is expected to be carried out immediately after birth. It should also be free and accessible to all, even if children are registered late. The United Nation’s Children Fund (UNICEF) notes, “Children with no birth certificate don’t exist before the law, and are in danger of remaining on the margins of society, or being shut out altogether. This issue was brought to the fore recently in Kano at a media dialogue on birth registration organised by UNICEF in conjunction with the Federal Ministry of Information and Culture (FMIC) and National Population Commission (NPopC). Oladiji also says, only eight per cent of under-five children are registered in Nigeria. She noted that birth registration is a key issue evidenced by a birth certificate and requires urgent attention. 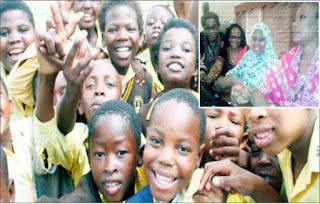 The Child Protection Specialist states, “Currently only eight per cent of under-five children are registered in Nigeria: http:br.rapidsmsnigeria.org. “Only 44 per cent of Africa’s births are registered, leaving an estimated 85 million children under five unregistered. Noting that about 62 per cent of children were given birth to outside Nigeria’s health facilities, Oladiji stresses, the advocacy at all state levels, if strengthened would support birth registration. She insists that the importance of birth registration to the national development could not be overemphasised as this would allow the government to make right policies for the betterment of all citizens. She further says, only 40 per cent of women access healthcare facilities which were a major problem in birth registration, querying, “When women don’t visit the healthcare, how do you expect them to register? “In 2016, registered birth under aged one is 2,519,071 which translated to 51 per cent of the estimated birth in the country. “But in 2017, it is reduced to 7,066 birth registration out of the 4,758,812 expected births under the age of one. She notes, the 2013 National Demographic Health Survey (DHS) revealed the low level of registration which could not be traceable to only ignorance of rural community dwellers while calling on Civil Society Organisations and the media to rise up to the challenge. This implies that people were not registering the birth of their children probably because they did not know the importance of BR, she adds. A major essence of presenting the Rapid sms data, she explains, is to highlight the gaps which exist in the BR process in the country and arm journalists with data. The Child Protection Specialist observes that this would help media advocacy for relevant actors – parents, caregivers, religious/traditional/community leaders, LG chairmen, etc. These are the individuals needed to bring about the desired behaviour change towards birth registration within the next three months. She further explains that birth registration is free for children under 17, adding that those who claimed that they pay to procure birth certificates from the health facilities and Local Government Areas are above specified age. She projects, from 2015-2050, Nigeria would be producing 257 million children in Africa, and these children needs to be planned for. Further Oladiji provides the lists of the benefit of birth registration in the country to the Nigerian child if registered noting that it covers health, education, survival, social services initiatives, developmental goals, etc. She observes, birth registration processes face some challenges, some of which are both internal and external. The internal challenge is within NPopC, while the external concerns health, education, community and other government actors. She stresses the need for inter-agency collaboration and extensive media campaigns to help surmount the weak knowledge of birth registration process and create awareness of the operations of NPopC. In her presentation titled, National Population Commission: The historical Perspective of BR in Nigeria, Haiya Husaini highlights a host of challenges the institution is facing – ranging from lack of infrastructure, weak knowledge base of people, to collaborations. She however notes that the collaboration with UNICEF has resulted in production of radio jingles and print materials currently being utilised in on-going enlightenment campaigns. Jude Inegbeboh, another facilitator demonstrated how to navigate the Rapid sms dashboard to help participants gain more knowledge and information on BR situation, thereby deriving data needed to do evidence-based stories. Alhaji Lai Mohammed, the Minister of Information, Culture and Tourism, in his welcome address corroborates that there is need for widespread media campaign to enlighten and create awareness in homes, communities and at all levels of government on birth registration. Mohammed, who was represented by Mr. Olumide Osanyipeju, Head of Advocacy, Child Right Information Bureau in the Ministry, also says the low awareness of birth registration had resulted to lack of planning. “The low level, or apparently lack of awareness on the importance of birth registration has resulted in lack of planning for children and improper capturing of this important segment of our society in developmental and social processes that affect them. He adds, the media campaign would drive demand for birth registration services and promote increased knowledge on the importance of birth registration. Mr. Geoffrey Njoku had noted at the beginning of the dialogue that its objectives and expected outcomes would provide the media with information on the current situation of birth registration in the country. Njoku stresses the need for NPopC to work with media practitioners to do stories that will positively influence policies and attitudes to improve birth registration indices in the country.